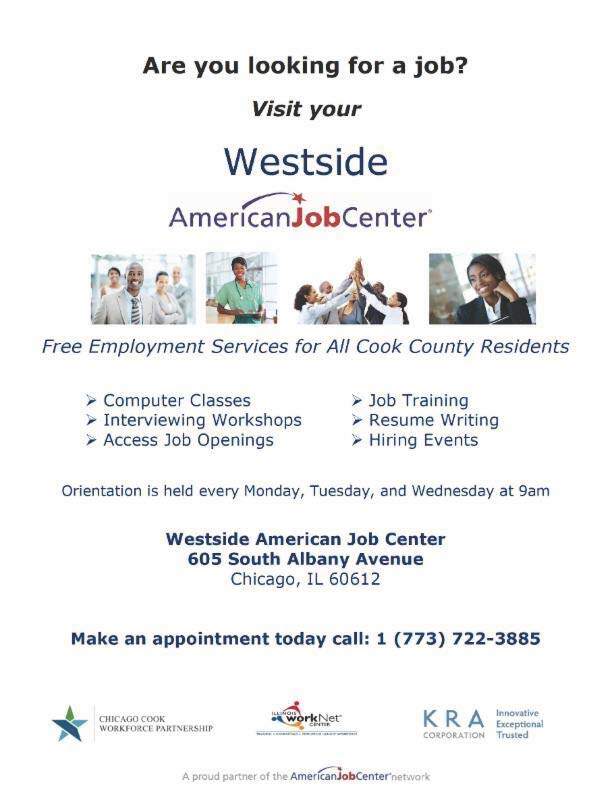 Westside American Job Center offers free employment services for all Cook County residents. Call 773-722-3885 to make an appointment. 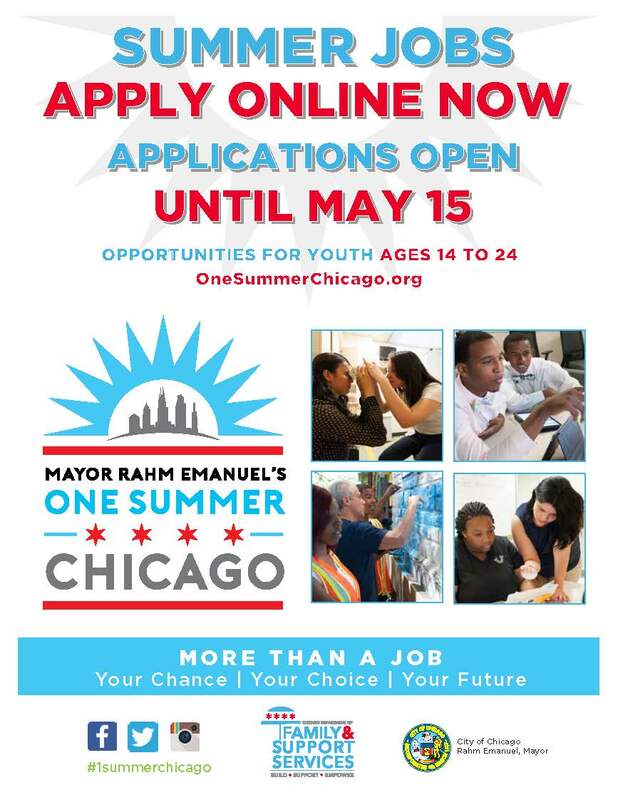 The One Summer Chicago program will return to provide over 30,000 job and internship opportunities this summer for youth ages 14 to 24 from neighborhoods across the city. The deadline to apply is May 15, 2017. Click here for more information. Earn $14.24 an hour, feel a sense of pride working in an important position, make new friends amongst co-workers, meet Chicagoans and visitors to our great city, and enjoy one of the best office views in Chicago. - Be a resident of the City of Chicago. Proof of residency MUST be presented at the lifeguard swim test. - Be 16 years of age, or older, by July 1, 2017. 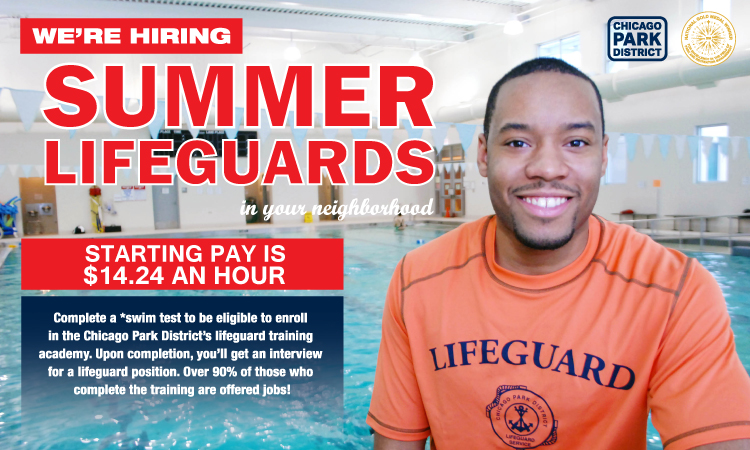 - Have a Chicago Park District Lifeguarding Card, valid through 2017. - Have an American Red Cross Lifeguarding certificate, or equivalent. 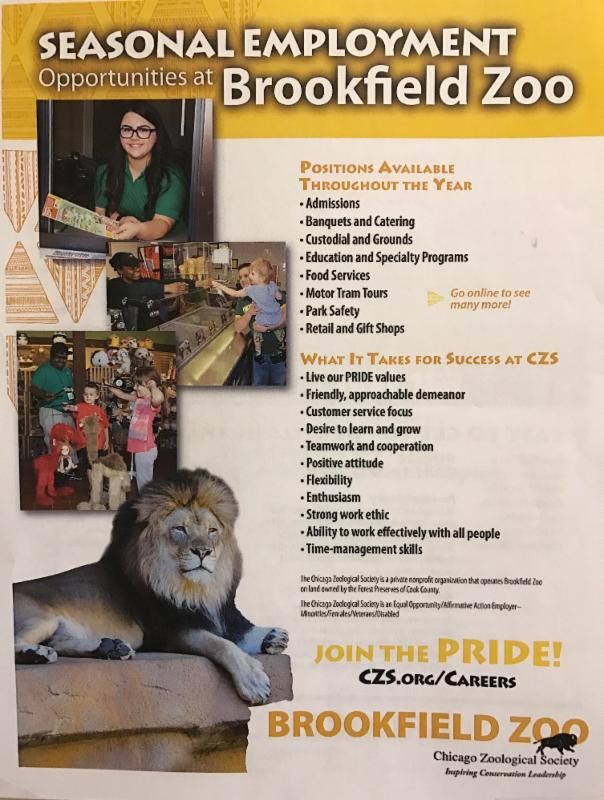 Brookfield Zoo has several seasonal position openings. For more information, visit Brookfield Zoo's website.